Included in the sale is the SBS trailer. Approximately 3 years ago the wraparound cabin fabric was professionally replaced and redesigned by Cunningham Covers with 3 “zip off” rear panels, one of which is a “roll up” door/entrance. 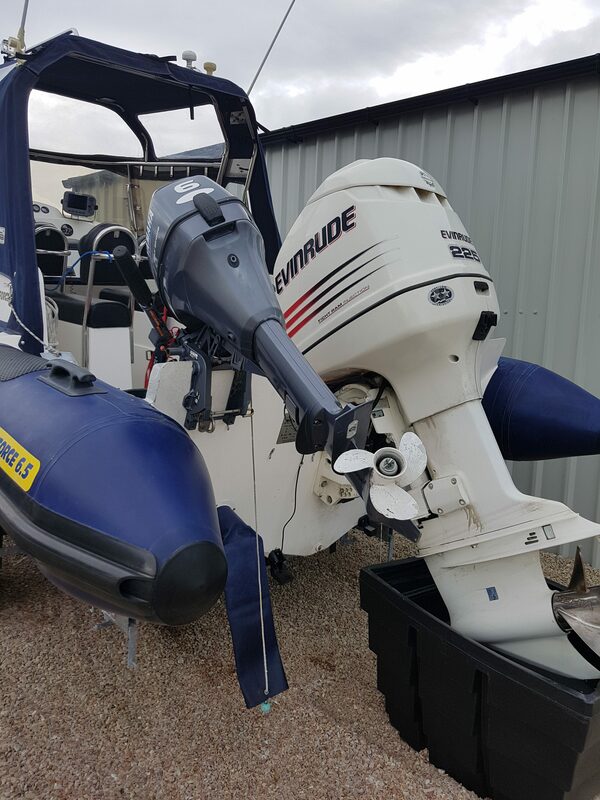 The engine has been regularly serviced our local Evinrude agent. 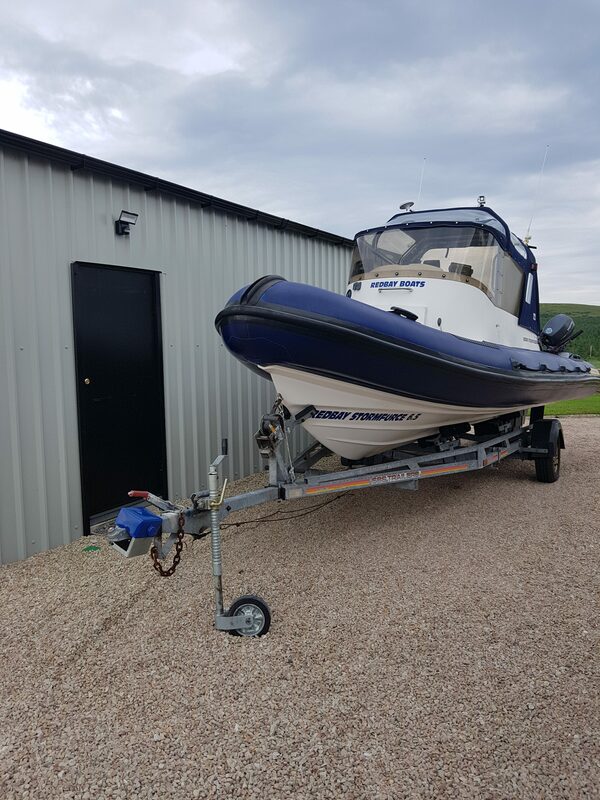 The rib is “winter serviced” and stored indoors during the winter months each year. 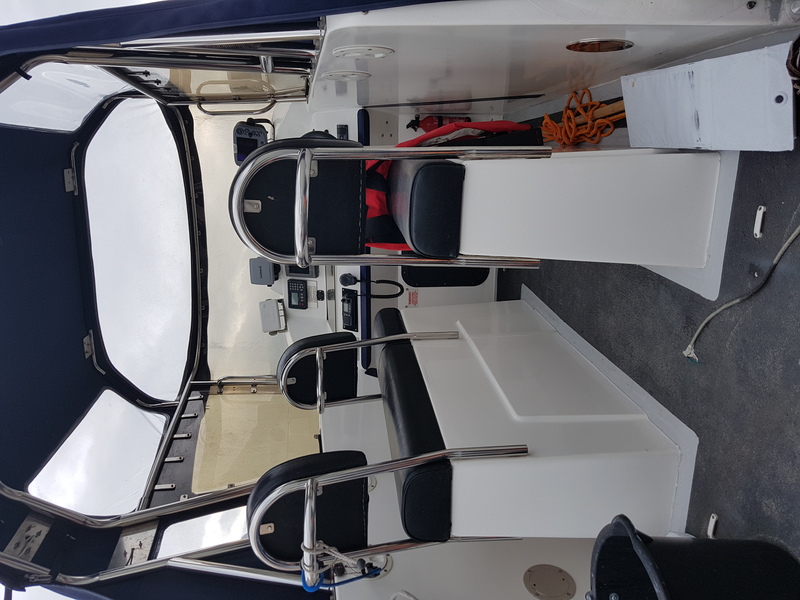 The rib was serviced and launched in July 2018 and did a 2 hour problem free shakedown trip around Horn Head Dunfanaghy County Donegal and Inishboffin Island. 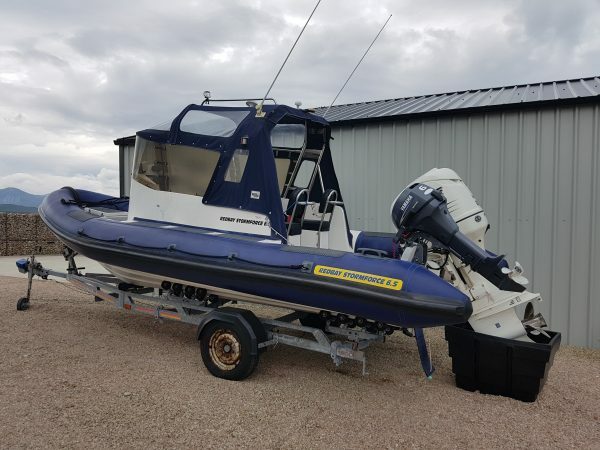 We have owned the vessel for 7 years during which time she has been 100% trouble free being and been lightly used with only 20 hours being added in the last 4 years. 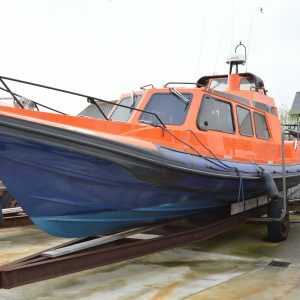 Based on the north coast of Northern Ireland, the challenging Northern Atlantic waters between Malin Head and Torr Head and Rathlin Island are our regular cruising ground and Noah has proved to be an excellent sea keeper in these conditions with the added safety and comfort of the wraparound cabin. Dry suits not required!! 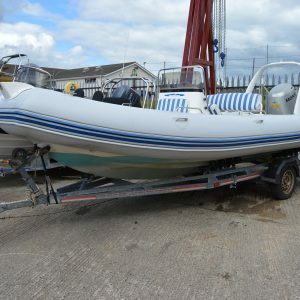 Noah is a well cared for example of Redbay’s much sought after, and hard to find, Wraparound Soft Cabin Rib. The Wraparound model allows you to remove the cover in those sunny balmy days like this summer for open air ribbing, while allowing you to be safe and well protected from the elements in the other three seasons or in our more normal north coast summers. 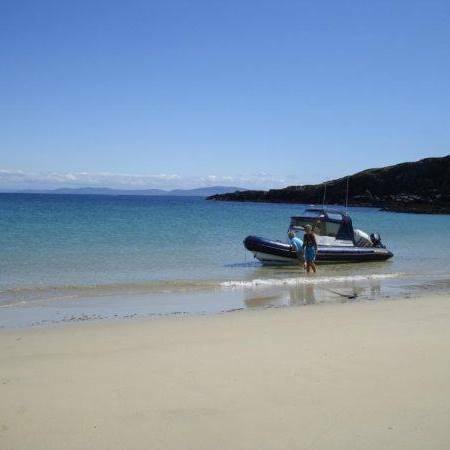 We have had a number of fabulous 2 week annual holidays in the last few years based out of Craobh Havn exploring the West Coast of Scotland and The Western Isles and regularly cross the challenging North Channel to Islay, Jura and Gigha and “playing” in the Corryvreckan whirlpool. Good bits: Her reliability and how she handles in extreme conditions, her high bow combined with large diameter tubes and Redbay’s clever hull design make travelling in this boat a dry, safe, exciting and fun experience. 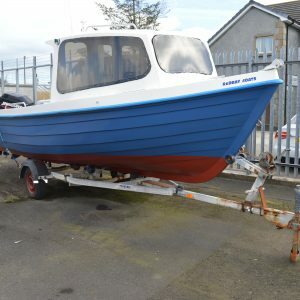 Bad Bits: Sadly she is not being used enough, hence the only reason she is for sale.